QUEEN ELIZABETH NATIONAL PARK TOUR INFORMATION. The park is located in the south western part of Uganda and covers an area of 1,978 sq km. This is the most popular national park in Uganda with abundant game and attracts thousands of tourists interested in viewing big game. Its vegetation which varies from open savannah to rainforest, from dense papyrus swamps and brooding crater lakes to the vastness of Lake Edward, make it a little wonder that it is the highest biodiversity conservation game reserve in the world. 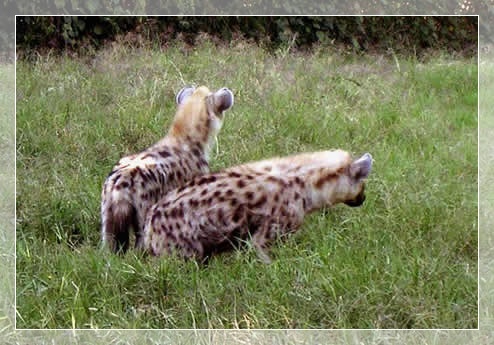 Queen Elizabeth National park has over 100 mammalian species and 606 bird species. 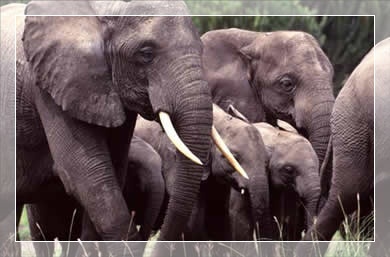 This makes it the best Uganda safari destination in Uganda with big herds of elephants, a profusion of hippos, the elusive giant forest hog and handsome Uganda kob which are all regularly sighted around the tourist village on the Mweya Peninsula. The notable bird species in the park include Malachite and Pied Kingfishers, White-winged Terns, Swamp Fly-catcher, Grey-capped Warbler, Grey-headed Kingfisher, Collard Pranticles, African Jacana, Pin-tailed Whydah Martial Eagle, Gabon and Slender-tailed Nightjars, the lovely Black-headed Gonolek, Great and Long-tailed Cormorants, Common Squacco Heron, the rare Shoebill Stork, African Skimmer, African Fish Eagle, Verreaux's Eagle-Owl, Black Bee-eater, White-tailed Lark, White-winged Warbler, Papyrus Gonolek, Papyrus Canary, Great white and Pink-backed Pelicans, African Mourning Dove, African Open-billed Stork, Black-rumped Buttonquail. This gorge is also found in this park and harbours habituated chimpanzees. 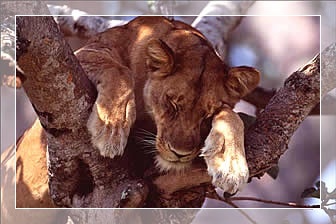 The remote Ishasha region is famous for its tree climbing lions which cannot easily be spotted anywhere else in the world. The Forest, is a tropical rain forest found in Queen Elizabeth National park and is a home to forest monkeys, the elusive forest elephant, birds, and flocks of flamingos that are resident on the crater lakes. The bat colony and the blue lake are other exciting and memorable features found in the forest. Queen Elizabeth National park is very accessible and lies 5-6 hours from Kampala on a tarmac road via Mbarara-Kasese-Fort Portal, and can be reached on a dirt road from Bwindi. For travelers interested in traveling to the park by air, a private charter flight from Entebbe international airport to Kasese airstrip can also be arranged for you. The park has different trails where game drives can be done. While on the drive, you will find big game in the typical African savannah. These include Elephants, Lions, Leopards, Hyenas, Buffaloes, Waterbucks, Uganda Kobs and Warthogs among others. The most convenient time for game drives is early morning and evenings. Queen Elizabeth National park boosts over 606 species which makes it a haven for visitors interested in bird watching. The Kazinga channel found within the park attracts a large number of water birds which include White-faced Whistling and Knob-billed Ducks, the Common Squacco Heron, Great and Long-tailed Cormorants, Great-white and Pink-backed Pelicans, African Jacana, African open-billed Stork, African Fish Eagle, Water Thick-knee, Spur-winged and African Wattled Plovers, Malachite and Pied kingfishers, Black Crake, Yellow backed Weavers and Swamp flycatchers among others. This is taken along the Kazinga channel. On the cruise different animals and birds that can be seen on the 34km tranquil Kazinga Channel shore. These include large crowds of Hippo and solitary Buffaloes, elephants, reptiles like Crocodiles and Lizards, water birds like Pelicans, Egyptian goose, Saddle-billed Stork, African Fish Eagles, African Jacana and Kingfishers among others. A guided walk is taken from the nearby Maramagambo Forest, a tropical forest covered with relatively low trees and gentle slopes. The important features worthy to see from this forest include the Blue Lake, the Hunters Cave, the Bat Cave where thousands of Egyptian Fruit Bats stay, and different tree specie which include medicinal species. Chimpanzee tracking is done from the gorge found in the Kyambura Wildlife Reserve in the eastern part of the park. From Kyambura, there are a number of other primates such as Black and White Colobus Monkeys, Red-tailed Monkeys, Olive Baboons, as well as forest birds such as Hornbills, Kingfishers and Sunbirds.